The challenges of a truly inclusive multicultural society have been well documented. As Australia’s Asian population continues to grow, another challenge is emerging in the political sphere – proper representation. Based on figures from the 2011 census, 2.4 million Australians identify as having Asian ancestry, representing just over 11 per cent of the population. In contrast, of the 226 members of federal parliament there are four members of Asian descent – just 1.7 per cent of representatives. In Victoria, that figure is two out of 128 members. The census figures illustrate a well-educated Asian community, with high numbers holding tertiary qualifications and a concentration of second-generation Asian-Australians in professional occupations. As Australia enters the Asian Century this poses the question – where are the Asian-Australians in public life? In 2012, Australia’s Race Discrimination Commissioner Tim Soutphomassane wrote: “sadly, it remains a somewhat common view among political party powerbrokers that the Australian electorate may not be ‘ready’ for more ethnic minority representatives”. The question of whether real opportunity was being extended to Asian candidates by party leaders was raised by political candidates at a recent University of Melbourne Asia Institute forum on Asian-Australian participation in public life. Candidates spoke about the opportunities that had been given to them and their hope that political parties will evince further changes to improve cultural diversity in politics. While all held individual motivations for entering politics, the panellists - Alex Bhathal (Greens), Stanley Chiang (Labor), Hong Lim MP (Labor), Gladys Liu (Liberal), Jude Perera MP (Labor) and Harriet Shing (Labor) – all shared a common goal of equitable inclusion of Asian-Australians in public life. The candidates represent the interests of a wider Australian community as well as the migrant community at large and often, their own ethnic communities. Individual experiences of racism and discrimination were not explicitly discussed but were evident in the gathering of speakers and attendees at the forum. Perera pointed out that the first-generation’s experience of racism and discrimination is compounded by their speaking English with an accent different to mainstream Australia. Chiang, Lim and Perera have all served in public office. Chiang is a former Mayor of Darebin and running for the Western Metropolitan Region. Lim has held the seat of Clayton (now Clarinda) for some 18 years in an electorate where many Indochinese refugees have settled. Of Cambodian-Chinese background, Lim assisted many refugees during their earliest years in Australia. Clarinda is a Labor safe seat. Perera has served as Cranbourne’s MP since 2002 in what has now become a marginal seat for Labor. Bhathal has run ten times in the past for the Greens in Victoria. If Bhathal wins the seat of the Northern Metropolitan Region in this election, she will add to the very sparse rank of state politicians of Indian subcontinent heritage, which includes fellow panellist Perera. From Sri-Lanka, Perera is the first Indian subcontinent-born Australian to be elected to the Lower House of any Australian parliament. This year’s election is particularly interesting for Asian-Australians given a distinctly larger number of 13 candidates of subcontinentbackground. The paucity of people of Asian-heritage in state and federal politics is also reflected in other areas of governance. According to Reynah Tang of the Asian-Australian Lawyers Association, despite a growing number of Asian-Australian lawyers, there is a lack of representation in peak positions within the judiciary, which may change with time. However the lack of cultural diversity among Australia’s judges in the High Court and Federal Court suggests more is needed. The dominance of a western model of leadership in workplaces and the undervaluing of Asian styles of leadership and workplace practice has been noted by the Diversity Council of Australia’s report, Cracking the Cultural Ceiling. The introduction of quotas and benchmarks for cultural diversity could provide a solution, but for many a change in attitude is most important. More research is also required. Nuanced research that recognises the complexity of Asian-Australian migrant communities and their histories of settlement would enable us to understand the similarities and differences that exist in political cultures and the ways that Asian-Australian communities have already participated in public life. There is also a need to understand racism and discrimination in institutions of governance and for initiatives that seek to break down the barriers towards Asian-Australian participation in peak positions. 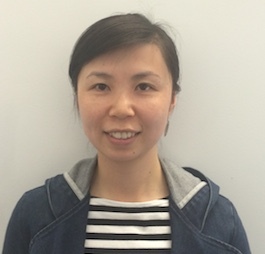 Dr Pamie Fung is a Research Assistant working on the Asian-Australian Public Policy Project in the Asia Institute at The University of Melbourne. She has taught migration history at The University of Melbourne.